Even the sun decided to stay in bed on Thursday 13 June. I couldn’t blame her, there was yet another strike in France! No sun, crammed into a train with no air conditioning and the dank, heavy smell of body odour (obviously there are not enough deodorant commercials shown on French tv) that was so strong that the back of my throat itched. 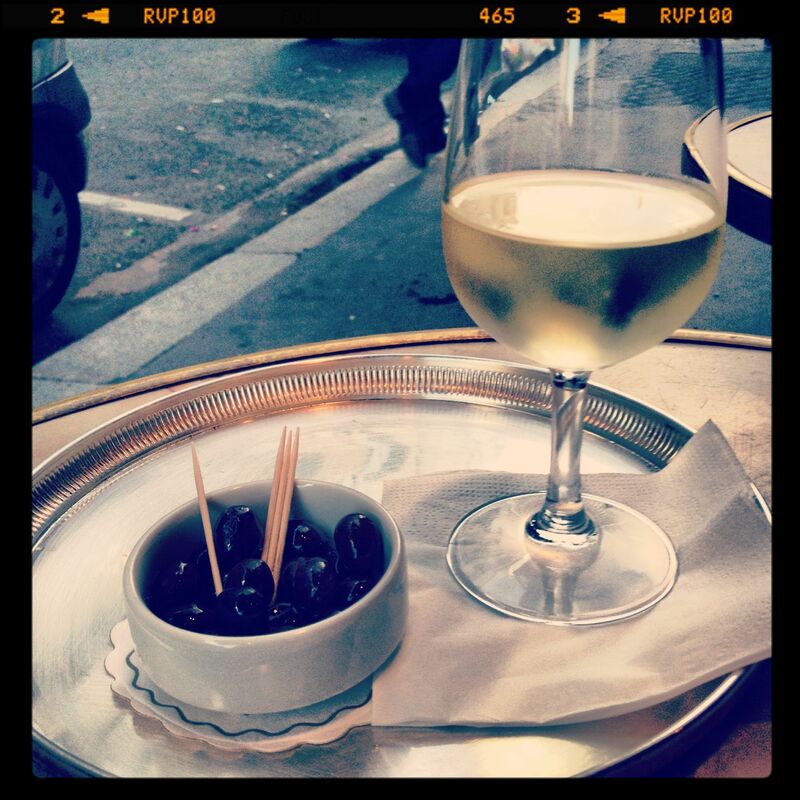 This was a day not only for a solo apero but also in a place that I could walk to. 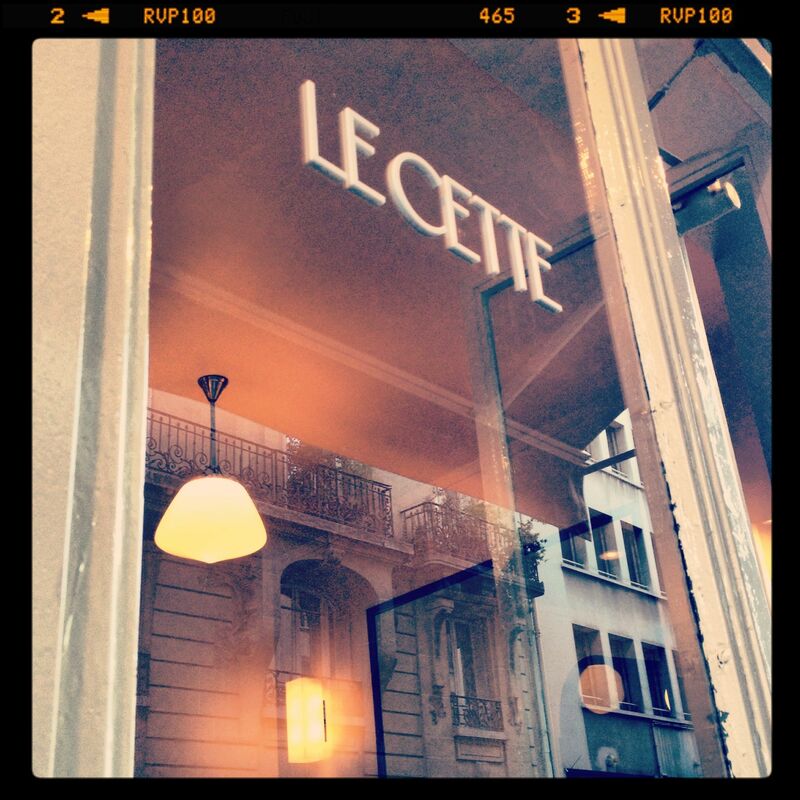 I had read about Le Cette and even walked past it as it is the same rue where I do my yoga class. This neo bistrot/restaurant is run by Sétois Xavier Bousquet. I walked past the few tables dotted outside Le Cette and into a world of stripped, highly polished wooden floors, white walls and soft lighting. I was greeted by Sétois himself and I asked if it was ok to sit outside and have a drink. Of course he replied and what would I like. 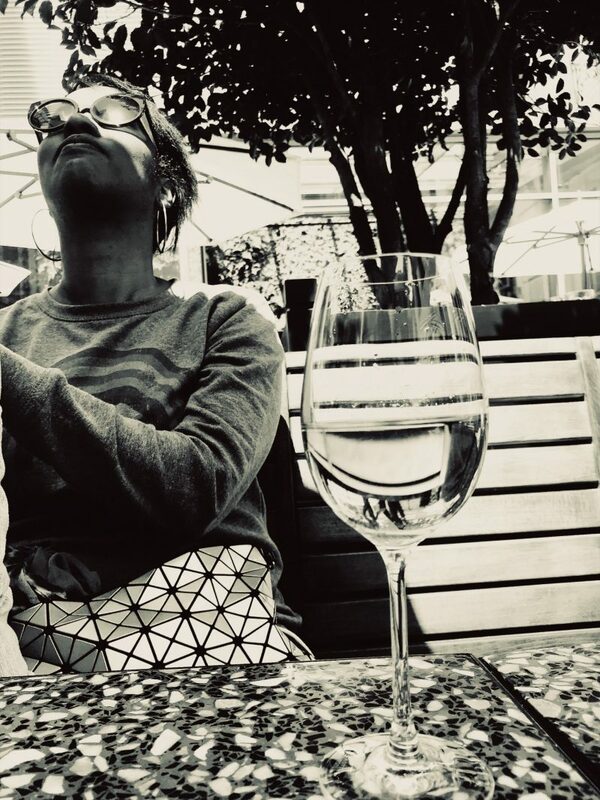 Why not a glass of white wine. He asked if I was in the mood for fruity or more dry wine. Tonight I thought I need something fruity, something to make my tastebuds sing. He suggested a glass of Touraine and said he would bring it to me. I installed myself outside and waited. When the wine did come, I was pleasantly surprised. Not only was I served my glass of impeccably chilled white wine accompanied by a bowl of olives but served on a solid silver tray. This is how you treat the solo drinker! I sat back, let the wind caress my cheeks and listened to the 1930s jazz music that wafted out of the door. Le Cette and I are going to become fast friends for a week night apero given that it is not open on the weekend. My glass of touraine cost €5 which is reasonable! Also look out for a solo dining entry on this place soon – there is a healthy distance between the tables so you can actually have a conversation without being overheard by the neighbouring table!